SINGAPORE – November 27, 2018 – Palomar Technologies, a global leader in delivering total process solutions for advanced photonics and microelectronic device packaging, announced today the launch of its Innovation Center in Singapore. The launch is in partnership with the LUX Photonics Consortium1 and DenseLight Semiconductors, a division of POET Technologies, a developer and manufacturer of optical light source products. As the first-of-its-kind in Southeast Asia, Palomar Technologies’ Innovation Center – Asia offers local companies unprecedented access to expert-designed, automated, complex, photonic and microelectronic assembly processes that are both cost-effective and reliable. It will also offer companies low-volume prototyping and process development service for the assembly of high performance packages that enable the Internet-of-Things (IoT) and 5G wireless networks. Palomar Technologies’ Innovation Center – Asia signifies the company’s commitment to the region and empowers Singapore businesses to step-up their photonics/microelectronics manufacturing efforts by giving them access to Palomar’s process development and package assembly expertise, which was previously only available in America. “With Singapore’s focus on Smart Nation, IoT, and supporting next generation innovation such as driverless cars and 5G wireless, our Innovation Center ensures more regional companies have access to technologies that can support the speed, bandwidth and clean power required by these applications,” said Mr. Rich Hueners, VP of Global Sales and Managing Director, Asia Pacific for Palomar Technologies. 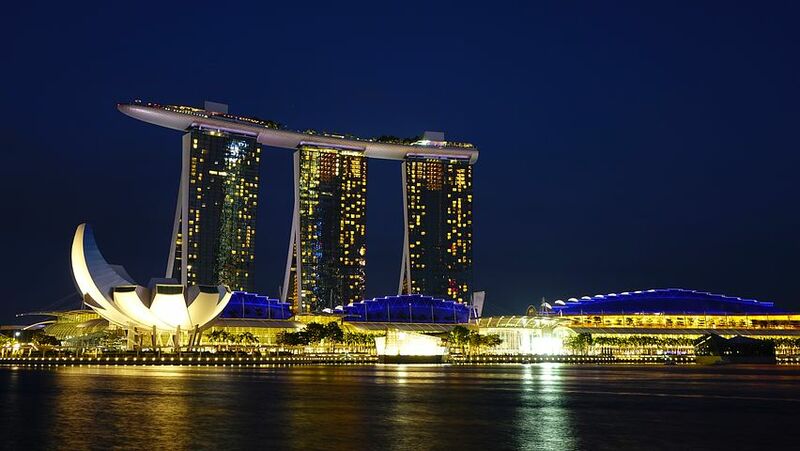 “Photonics is the cornerstone of Singapore’s Smart Nation initiative, powering next-generation, world-class connectivity, ensuring companies stay cost effective, and Singapore retains its crown as the region’s technology hub”. With photonics leading the way, it is estimated by 2025, over 75 billion IoT devices will be connected to networks with data transferred at 100 times the speed of today2. The rise of IoT in our homes and cities requires the need for higher data transfer speeds, increased computing power, and more efficient capacity handling, while photonic devices must be smaller in size and more sustainable – thereby transforming the core of technology development. Photons, not electrons, are the essential means to transmit the data generated by millions of devices at high speed over vast distances. “Photonics is an enabling technology that has revolutionized the way we communicate and will continue to do so with the ever-increasing demand for more data and faster data rates. Without the toolsets to integrate photonics into the current technology platforms, it will not be possible to achieve our vision of a smart nation,” said Prof Tjin Swee Chuan, Chairman of LUX Photonics Consortium. “The opening of the Palomar Technologies’ Innovation Center will enable Singapore manufacturers to translate cutting-edge research in photonics into diverse applications”. “We are glad to finally have an established provider like Palomar Technologies bring its unique device assembly solutions to Singapore,” said Mr. Rajan Rajgopal, President & GM, DenseLight Semiconductors. “Palomar Technologies has enabled us with the flexibility and affordability, and to give our clients access to the latest technology at the best value. This will help us remain competitive in an increasingly crowded industry”. Palomar Technologies makes the connected world possible by delivering a Total Process Solution™ for advanced photonic and microelectronic device assembly processes utilized in today’s smart, connected devices. With a focus on flexibility, speed and accuracy, Palomar’s Total Process Solution includes Palomar die bonders, Palomar wire and wedge bonders, SST vacuum reflow systems, along with Innovation Centers for outsourced manufacturing and assembly, and Customer Support services, that together deliver improved production quality and yield, reduced assembly times, and rapid ROI. With its deep industry expertise, Palomar equips customers to become leaders in the development of complex, digital technologies that are the foundation of the connected world and the transmission of data generated by billions of connected devices. Palomar solutions are utilized by the world’s leading companies providing solutions for datacom, 5G, electric vehicle power modules, autonomous vehicles/LiDAR, enhanced mobile broadband, Internet of Things, SMART technology, and mission critical services. Headquartered in Carlsbad, California, Palomar offers global sales, service and application support from its offices in the USA, Germany, Singapore and China. For more information, visit: http://www.palomartechnologies.com. LUX Photonics Consortium is supported by the National Research Foundation Singapore and established in partnership with Nanyang Technological University, the National University of Singapore, the Agency for Science, Technology and Research and industry partners. Their vision is to serve as a catalyst and a networking platform to translate cutting-edge research in photonics into diverse applications underpinned by the value chain created. DenseLight is a Singapore-based division of POET Technologies. It provides one-stop design and manufacturing solutions, from photonics design and simulation, epitaxial growth, wafer fabrication, chip production, in-line optical coating, sub-mounting, photonic measurements, product tests and screening. LUX Photonics Consortium, supported by the National Research Foundation Singapore, is an initiative by Nanyang Technological University and National University of Singapore to aid the translation of photonics research into diverse applications.